Many people already know that EnMart sells blank patches and that those patches can, among other things, be sublimated, but some people may not be aware that EnMart also sells custom sublimated patches. These patches are the exact same patches that you would buy as blanks and sublimate yourself, except instead of you doing the sublimation, we do it for you. If, of course, you want to sublimate your own patches, we’ll be happy to sell you the blank patches, and the printer, ink and paper with which you can do just that. For those who may not have a sublimation system, however, or who may not wish to sublimate their own patches, EnMart can take the necessary artwork and create sublimated patches here in our facility. Advantage 1: We have a lot of experience with sublimation and with patches – EnMart’s parent company was created to sell emblems to industrial laundries. Ensign Emblem was also instrumental in bringing inkjet sublimation to those same laundries. 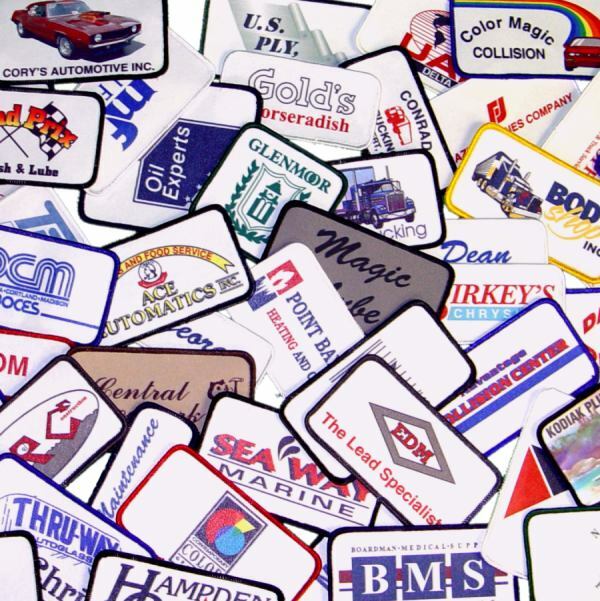 We’ve been sublimating patches for a number of years, and we’ve gotten very good at the process. Advantage 2: Sublimation allows use of complicated artwork – If artwork can be printed, it can be sublimated. If your customer has a logo or a piece of artwork that has a lot of colors or a complicated design, embroidery might not be an option. Sublimation, however, can handle complicated designs with ease. Advantage 3: You’re not limited to a standard rectangle – EnMart offers patches in a variety of shapes and sizes. Although the custom sublimated patches listed on our site are limited to the most popular sizes, we do have a wide variety of sizes available. If you need a special size or shape sublimated, we can help. Advantage 4: EnMart’s custom sublimated patches are durable – Our custom sublimated patches are created to withstand and industrial wash and dry, so they’re sure to hold up under an ordinary laundry cycle. If you would like to see a sample of a blank patch, or like a sample to wash test, contact us. We’d be glad to send you a sample sublimated patch.